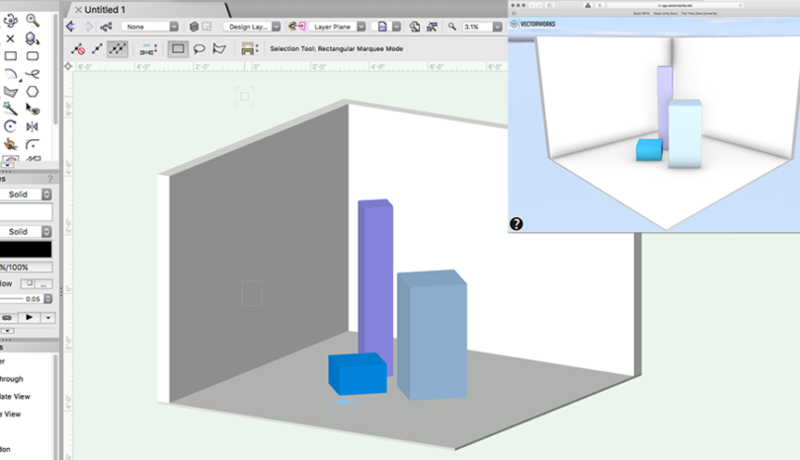 Use the Vectorworks’ Export Web View option to share your 3D models with Clients via web link. 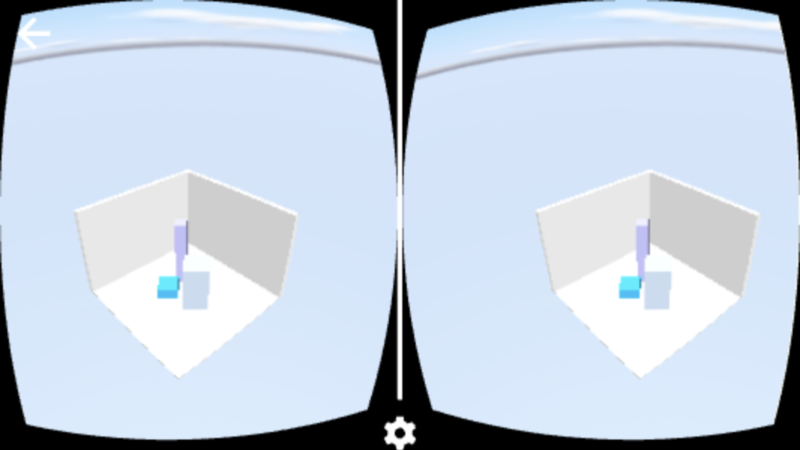 They can navigate the model with a mouse or enable viewing in VR on their mobile device with the help of Google Cardboard or Daydream. Learn the steps involved in this process and take a look at some screenshots of the Web Viewer interface. Make your scene as simple or low-poly as possible. Anything too complex will crash on export or cause performance issues. I recommend not enclosing the space with four walls or a ceiling, but rather imply space boundaries with a floor and a few walls. Main Nav> File> Export> Export Web View. 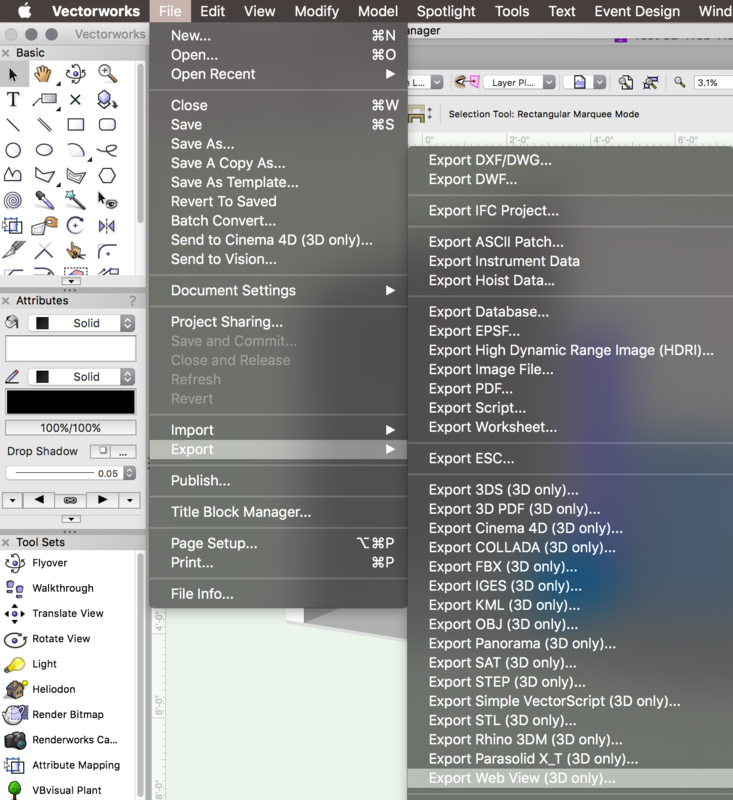 A window will pop up for export settings. 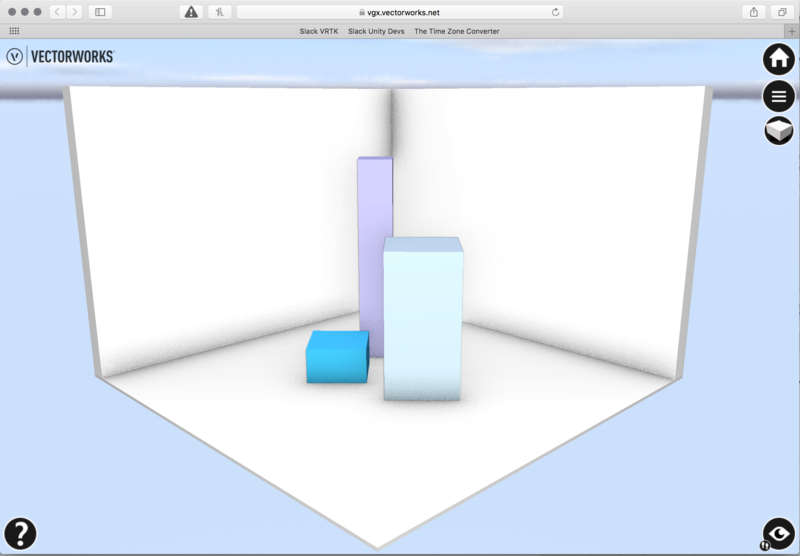 Set Quality to High, enable Ambient Occlusion if desired, and Save on Temporary Cloud Storage. The Web View file will be live via the Temporary Cloud Storage link for two weeks. Click Export. The hyperlink plugin is helpful in keeping the Web View link associated with a corresponding version number and makes it easy to share the link with the client. Be sure to specify where you want the hyperlink created. 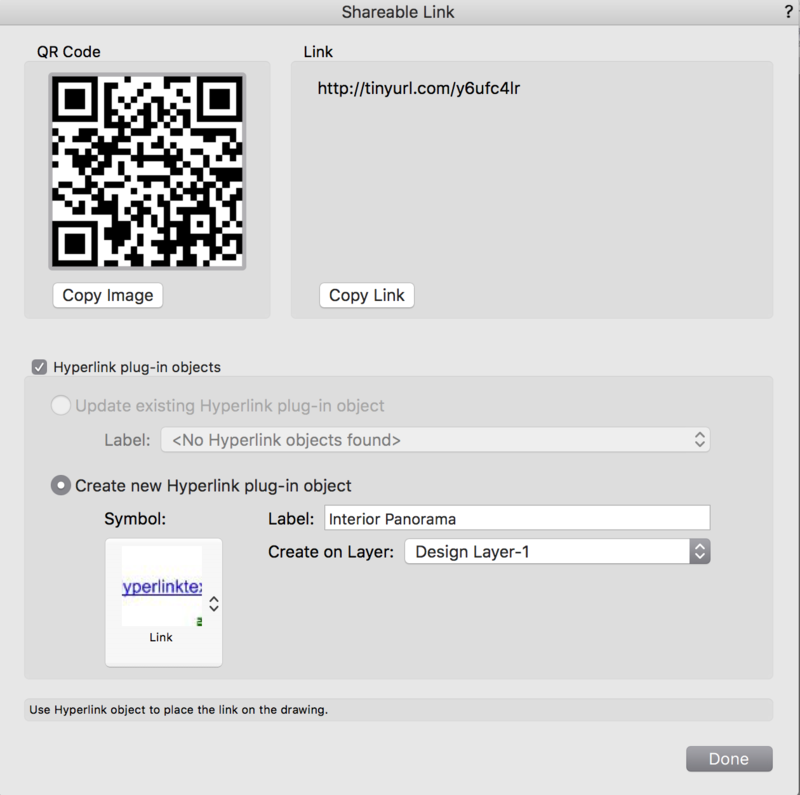 If you change your mind, you can find the hyperlink plug-in object in the resource browser, allowing you to drag and drop into your sheet or design layers as desired. 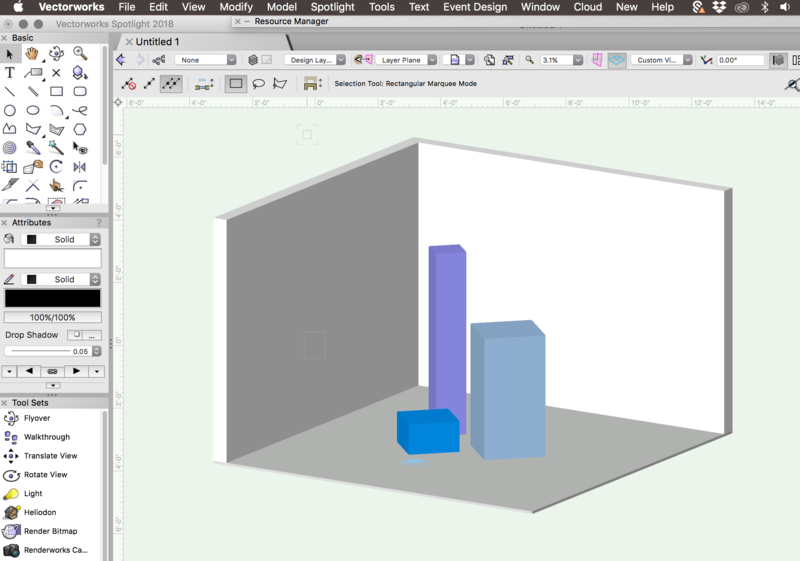 Open the hyperlink from within Vectorworks or manually navigate to the link using a web browser. 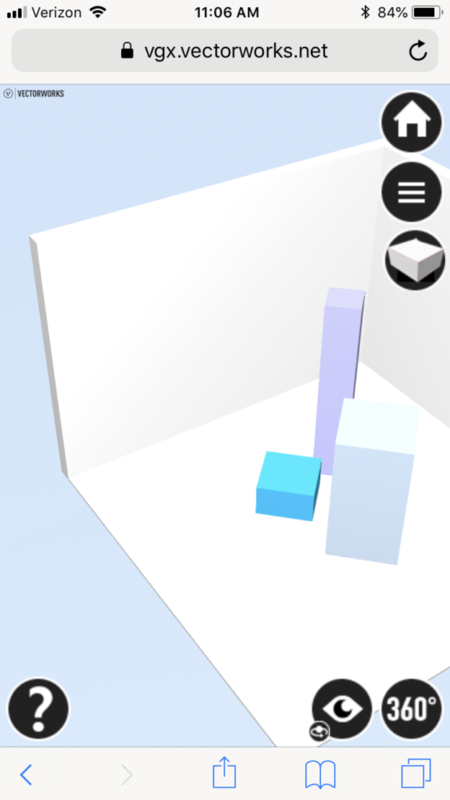 You may have to zoom out to get a better perspective of your model. Use your mouse to zoom in and out, pan and orbit. And here is the interface as seen on a mobile device. Notice the 360 icon in the lower right. 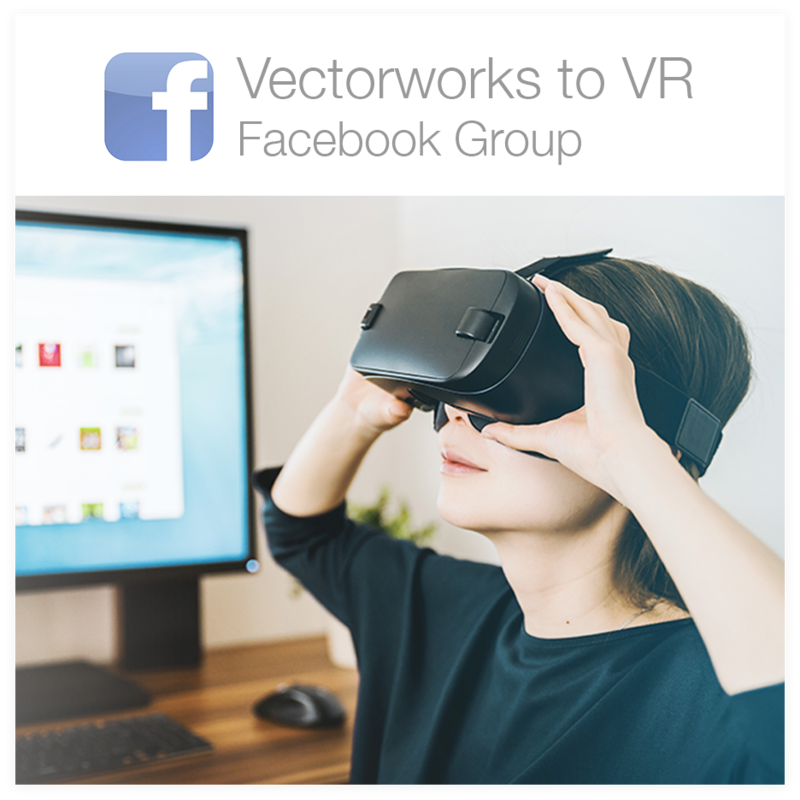 In summary, you can use Vectorworks’ Web Viewer to allow clients or teammates to navigate your 3D models in 360 and stereoscopic VR. And they don’t need their own Vectorworks license! 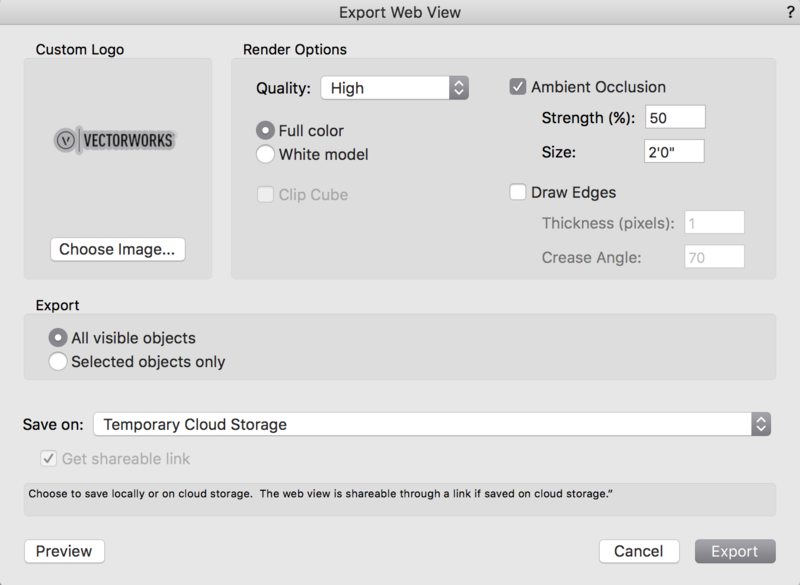 If you have a Vectorworks Cloud Services account, you can bypass the two week temporary time period and instead keep your Web Viewer link live for as long as you need it. I hope this information will make pre-production and design approvals easier and more fun. One of the goals of ScenicMentor.com is to help designers work faster, giving them more time to create and more easily share their ideas with the world!